Hersonissos is one of the most popular tourist resorts in Crete. This region is ideal for everyone who wants a cosmopolitan place for his holidays. Hersonissos in Crete means fun, with a lot of tourists loving to spent their time in this place every year. Hersonissos is a lovely place with sandy, peaceful and busy beaches, where you can get your pick of water sports like jet-skiing, banana boats, or windsurfing. As a modern town, Hersonissos has dozens of shops selling tourist goods, restaurants, cafeterias, bars and nightclubs for your outings. In Hersonissos city you will find large luxury hotels for conference tourism and holidays for tourists of all ages who comes to Crete. If you want a lower budget vacations, don’t worry! 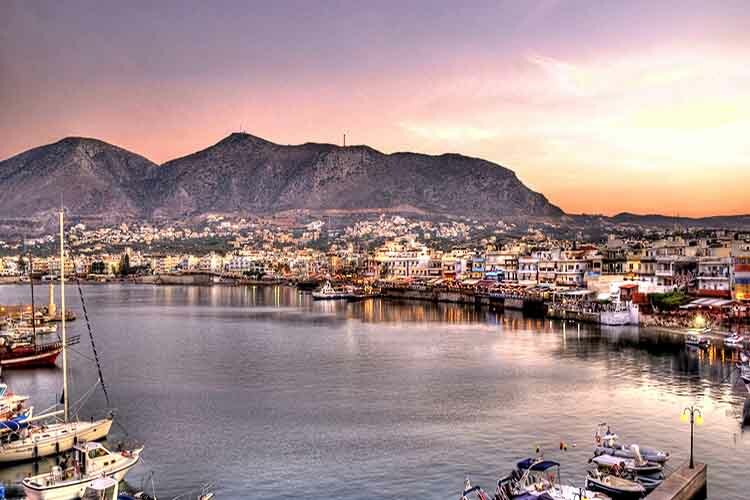 In Hersonissos Crete, you will find lovely hotels and rooms to let for for your accommodation. Use the online booking service that is available on the online page of our tourist agency e-globaltravel. Decide your criterias for this trip and set them on the search form. As a return you are going to received a list with suitable hotels that are available for you and your company. Hersonissos is a family-friendly place, with plenty of activities for both adults and children. You can visist the Lychnostatis Open Air Museum where you have the opportunity to explore the trades and lifestyles of early islanders and the aquarium where you will find local sea creatures.